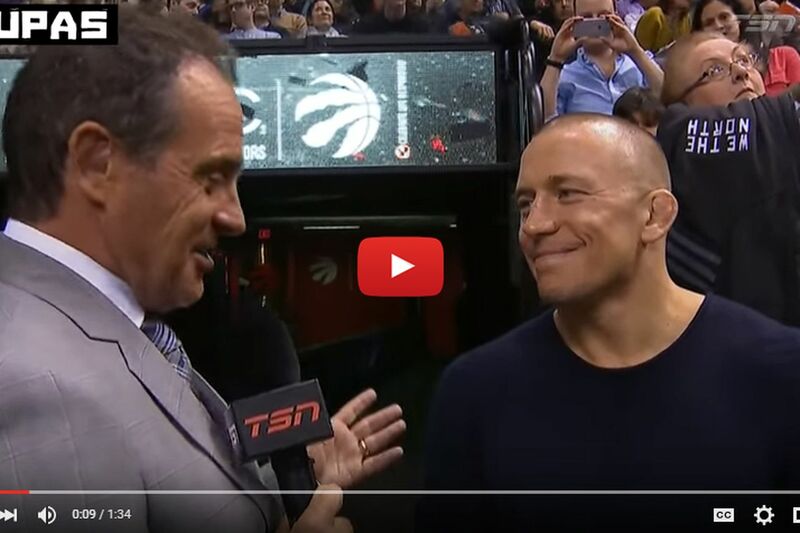 Former Ultimate Fighting Championship (UFC) welterweight titleholder and master of the cryptic tweets, Georges St-Pierre, recently rekindled talks with the world’s largest mixed martial arts (MMA) promotion, and now admits he’s currently negotiating an Octagon return. But don’t break out the party hats just yet. I guess he buried the hatchet with this guy. St. Pierre, 34, walked away from MMA in late 2013, citing personal and professional problems (like this). In his absence, Johny Hendricks went on to tussle with Robbie Lawler for the welterweight title, which now belongs to “Ruthless” and will be defended … eventually. I’m sure the promotion is trying to lure the pay-per-view (PPV) king back to the cage for a championship showdown at UFC 200 before booking Lawler for his next title defense; however, time is not on anyone’s side. The next few weeks are going to be very, very interesting. Video: Can body language reveal who will win an MMA fight?